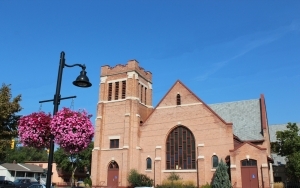 Visit the First United Church Thrift Shop for clothing, small housewares, books and games. Entrance is located at the back of the church off the parking lot. We are open Tuesday, Wednesday and Thursday from 10am-2pm. We are volunteer-run! Contact the Church Office (250) 762-3311 if you would like to join our fabulous team of volunteers.